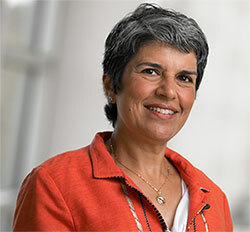 Cynthia Haq, MD, a professor (CHS) in the University of Wisconsin School of Medicine and Public Health (SMPH) Department of Family Medicine and Community Health (DFMCH) and Department of Population Health Sciences, will leave Wisconsin to become chair of the University of California–Irvine Department of Family Medicine. Her new appointment begins January 1, 2018. In her 28 years here, Dr. Haq’s work has resonated with medical students, family medicine residents, patients and colleagues in Madison, across Wisconsin and around the world. She helped launch the first family medicine residency programs in Pakistan, Uganda and Ethiopia, and created and directed the Training in Urban Medicine and Public Health (TRIUMPH) program at the SMPH. A lifelong advocate for global health, she was also the founding director of what is now the University of Wisconsin-Madison Global Health Institute. 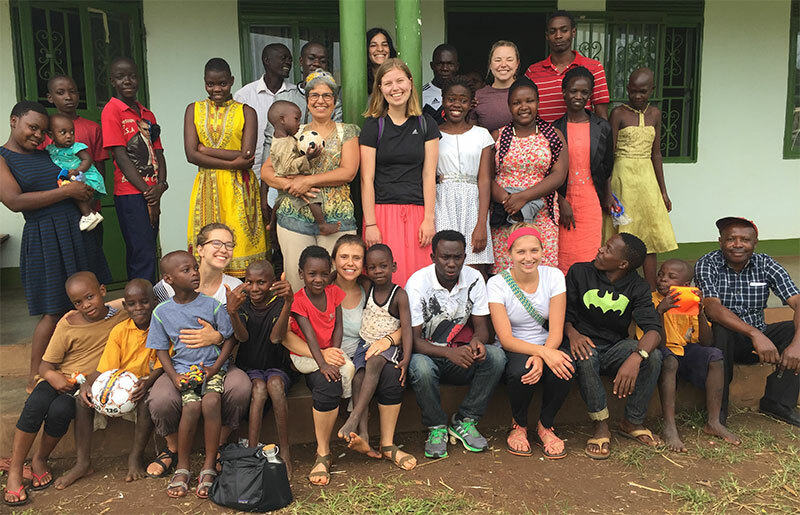 Dr. Haq (center, holding baby) and UW Physical Therapy Program faculty member Sara Smiley with UW medical, physical therapy and undergraduate pre-med students in Uganda as part of a UW Global Health Institute field course. 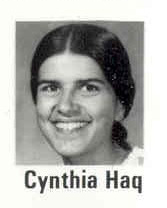 Her many honors include two Fulbright scholarships, an American Academy of Family Physicians (AAFP) President’s Award and Exemplary Teaching Award, a Society of Teachers of Family Medicine (STFM) National Excellence in Education Award, two Arnold Gold Foundation Humanism in Medicine awards, a Wisconsin Academy of Family Physicians (WAFP) Family Physician Educator of the Year award, and a UW SMPH Dean’s Teaching Award. “Dr. Farley articulated the vision of family medicine as providing holistic care to the individual in the context of their family and community,” she recalls. She credits Dr. Farley and DFMCH residency founder Marc Hansen, MD, with providing her the training, flexibility and inspiration to follow through on that vision throughout her career. “I wanted to be the kind of teacher they were for me, and my legacy has been to pass on those things I learned from them,” she reflects. 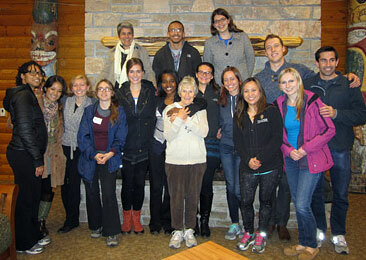 Dr. Haq, top left, with the TRIUMPH class of 2017. Early in her career, when she began establishing family medicine education programs in Uganda and Pakistan, Dr. Haq learned the importance of community engagement—another key theme in her career. She explains that family physicians have a broad skill set that can be tailored to the specific communities they serve; for example, rural Belleville, where Dr. Haq practiced from 1989 to 2008, or urban Milwaukee, where she practiced from 2008 until now. In addition, skills such as cross-cultural communication, cultural humility and the ability to listen are especially important when designing educational programs that can be sustained over the long term. “I wanted to invest my effort in things that have long-lasting value, and attract people who can carry them on after me,” Dr. Haq says. Consistently woven throughout her work is a deep commitment to the underserved. Whether it’s creating a family medicine residency program in Ethiopia, or teaching medical students to provide health care and promote health equity for disadvantaged populations in Milwaukee, Dr. Haq has chosen to focus her efforts where needs are greatest. Dr. Haq’s last reflection on her time here is perhaps her most personal. A mother of four who at times has struggled to balance her own work and family, she aims to teach learners the value of resilience and compassion—to self and others. Thank you, Dr. Haq, for all you have given, and we wish you the best in California!